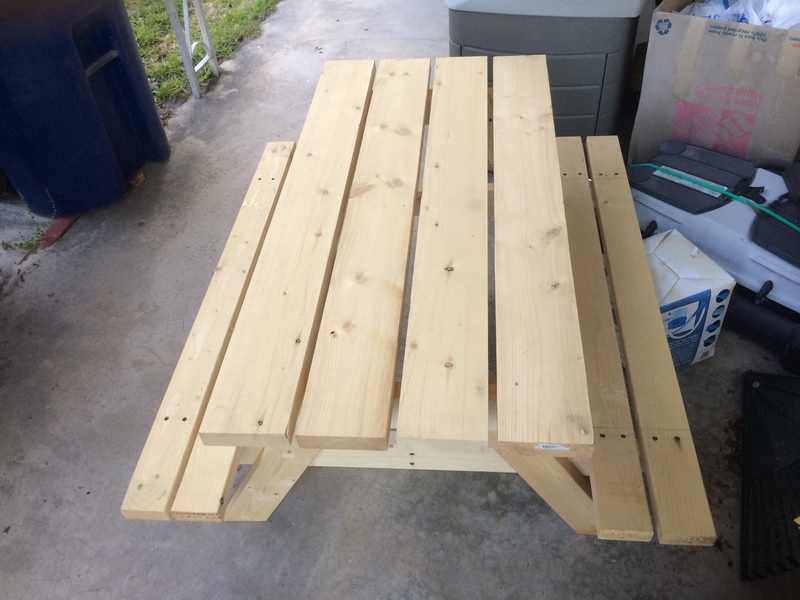 Picnic table for the smaller ones in your family after they become too big for kid’s furniture. A true bargain that you will not find anywhere else at only $125. 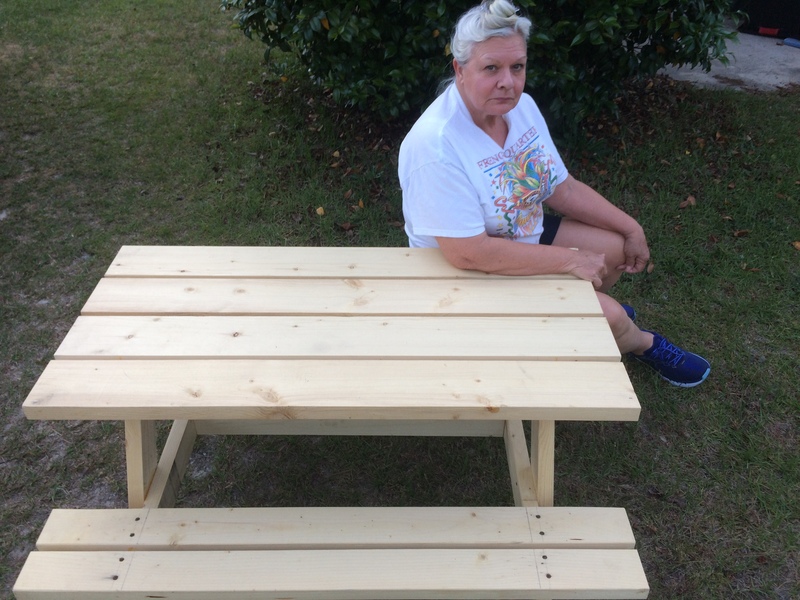 This table is made to last a long time in your home or your yard. I make it from two by four and two by six lumber. Each part is put together with love and attention. I use no nails. All boards are held together with glue and screws. You will notice the top has no visible screws. The screw holes in the seats will be filled before I paint the table. 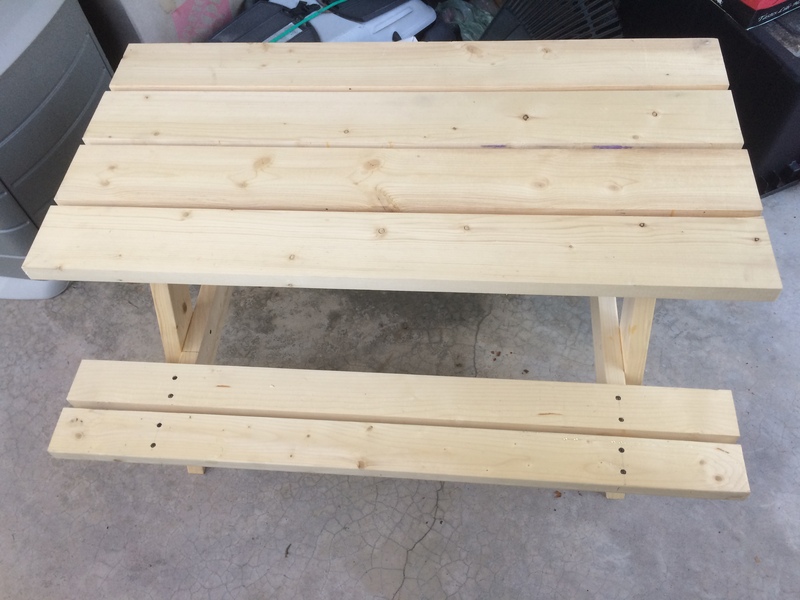 It was designed to be used in the yard, or in the house if you need extra seating for the younger teens. It measures (approximately) 4 feet long, by 4 feet wide, and is approximately 20 inches tall. the table top is about 24 inches wide. Four larger children or six smaller ones can sit comfortably. It is light enough and small enough to fit the back of your pickup truck if you want to take it with you.